In today’s business environment there are more and more requests from our International clients to create their own brand of wine. Our design team can assist with any new wine label idea or simply refresh an old label for today. Once the label is finalised we work with our customers to ensure all packaging components (the bottle, cork, cap and carton) are best suited to the client’s requirements. 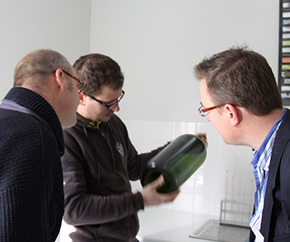 Finally, we involve our winemaker to establish the right wine to go into the bottle to satisfy the price point, quality and desired taste characteristics.